For this week, the Imaginisce DT were challenged to create a project using at least 3 different collections. I always love to mix and match, so this was a fun one. I used "Makin' Waves", "Hello Cupcake" and "Hippity Hop" to create this LO about my daughter. HI.. this is gorgeous.. I love the bright colors!! Gorgeous colors and the happiness just radiats throughout this page! Wonderful! 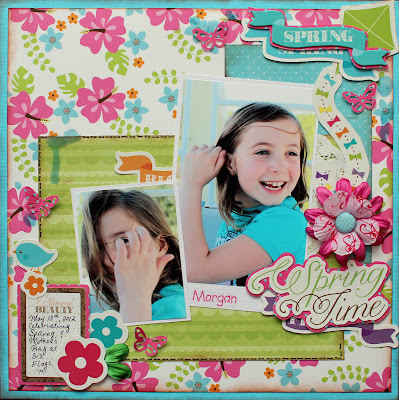 Flourish With A Bling July Challenge!